As Microsoft released SQL Server 2016 on June 1, a lot of people are starting to investigate how to write R which will run in SQL Server rather than using their local machine. People who have a background in R will automatically migrate to R Studio, the open source UI that has been around for years, but there may be a reason to switch. Visual Studio 2015 Community is also an open source application which can be used to write R code, which is definitely worth investigating. 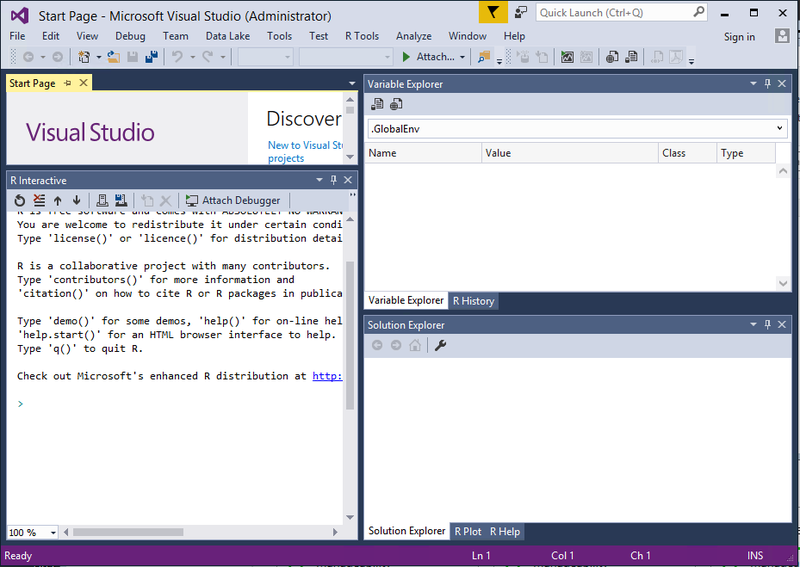 Which R tool should I use: R Studio or Visual Studio? 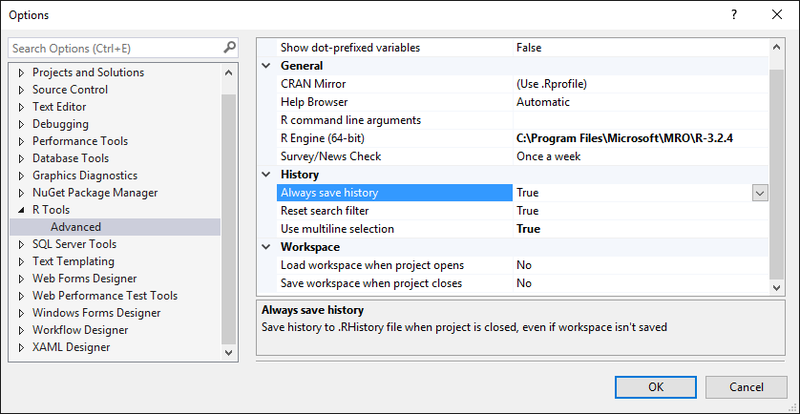 Only Visual Studio 2015 can be configured to use R and you must be using a 64 bit operating system to load R tools. If you have a different version of VS, download it here. The next step is to download VS R Tools and lastly download Microsoft R Open. There are two versions of Microsoft R open, one for R Server 2016, which is the one you want if you plan to integrate R with SQL Server 2016, and the standard version of Microsoft R Open, which does not include any of the R Server features. If you like, you can use either version Microsoft R Open in R Studio as well. The standard version is only available for 64 bit platforms, but does include versions for Windows and various flavors of Linux, including Red Hat, SUSE, and Ubuntu. The R open for Microsoft R Server 2016 can be found here. ***Update***On June 6, 2016, Microsoft released a new tool called R client. Installing the version of R found in the client 8.0.3 is required to match the version of R released with SQL Server 2016. It is required to log into Visual Studio to be able to access this R client link. 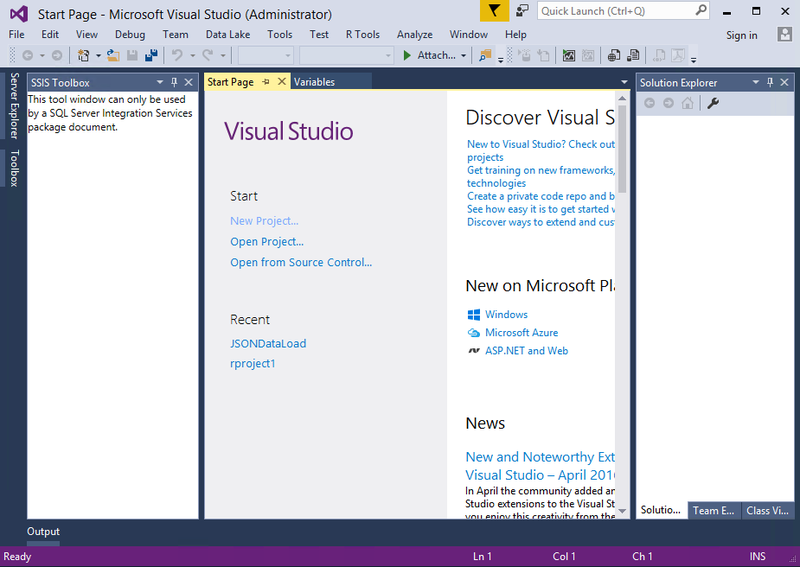 After the tools have been installed, they appear in VS under R Tools, as shown on my screen below. The VS environment looks no different, with the exception of the new menu item for R Tools. This really isn’t an IDE set up for writing R, yet. Time to fix that. Click on RTools->Data Science Settings and the screen goes from the standard VS screen shown above to an environment tailored to writing R code as it has the specific panes used when writing R, such as R interactive and R Plot. If you want to move these screens around, or close the start page, feel free to organize the windows in VS in the same manner as one does when using VS for other development tasks and languages. If you have multiple R versions loaded, or you just want to see how it works, go to RTools->Options and look at the R engine entry. This code be pointing to C:\Program Files\R\R-3.3.0 for the open source version of R, C:\Program Files\Microsoft\MRO\r-3.2.4 for the Microsoft Open R. For R with SQL Server 2016, after installing the R Client, the R engine needs to point to C:\Program Files\Microsoft SQL Server\130\R_SERVER, assuming you have the developer edition of SQL Server 2016 loaded on your PC. If you change this entry, you will need to restart VS.
After you click ok, it might be a good idea to check the intellisense settings for R. that can be done by going to Go to R Tools-> Editor Options-> Advanced. As this post hardly scratches the surface of running R code on SQL Server, I intend to cover more in greater detail in a later post. Please subscribe to my blog to be notified when my later post with more information on the specific coding techniques unique to running R in SQL Server 2016.